I remember my grandmother baby-sitting me often when I was quite young due to my mother’s on-going health problems. Each night, Grandma would read one of the Beatrix Potter books to me. Those moments curled up, warm under the covers with Grandma sitting on a chair beside the guest bed reading delightful stories about Peter Rabbit, Tom Kitten, and Mrs. Tiggy-Winkle are some of the warmest and fondest memories I hold dear from my childhood. Years later when reading those books to my own children, it evoked happiness in the deepest part of my being. I started reading aloud to my children when they were just days old. I know they couldn’t understand what I was reading yet, but I knew that the love and care communicated to them by being held in my arms as I read softly to them was a gift beyond measure. By the time my children were about three-years-old, they were all able to sit and listen to chapter books like Charlotte’s Web or A.A. Milne’s classic Winnie-the-Pooh series. 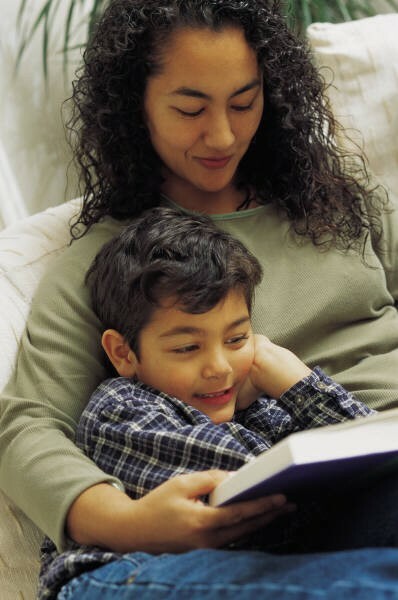 I continued reading aloud to my children for as long as they were living in my home. If my children ever have children, I hope to be able to read to my grandbabies someday, as well. Once my kiddos were reading fluently on their own, they did their school work from their own books, but we still continued our family read aloud times just for the fun of it. I think all the reading aloud in our home did wonders for our family. It served as a treasured family activity, a foundation for a love for great literature in the children, a means for developing a stronger command of the language, and an avenue for increasing listening skills. Reading aloud was always a cornerstone of our family time and homeschooling adventures.